This entry was posted on Wednesday, 18 January 2012 at 16:35 and is filed under Janathon, Running. You can follow any responses to this entry through the RSS 2.0. You can leave a response. Loving the jokes - more please! Really impressed with all this January running - keep it up! 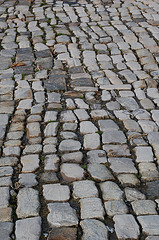 Well done on your run that's a great time, especially when you're having to navigate those slippery cobblestones!